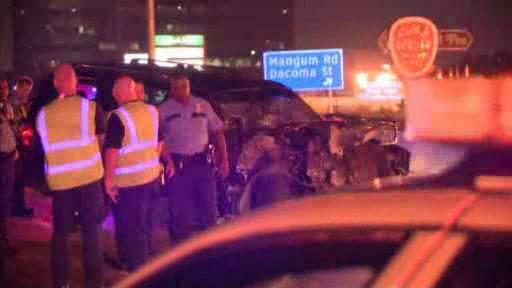 Police are saying that excessive speed and possibly alcohol were factors in a major collision on Highway 290 (a.k.a. Northwest Freeway) this morning. 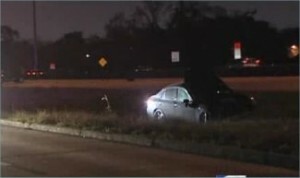 A woman driving a Chevy Camaro rear-ended a blue-colored SUV near the 43rd Street exit, and the impact caused the SUV to roll over. 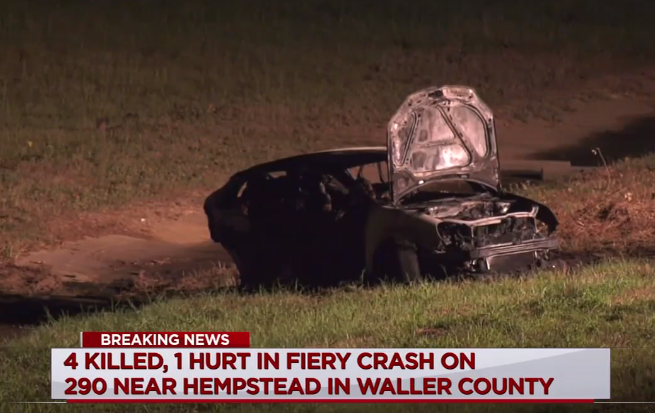 Two passengers in the SUV, a blue-colored Dodge Nitro, were taken to hospital in stable condition; the driver of the Camaro was transported in critical condition. 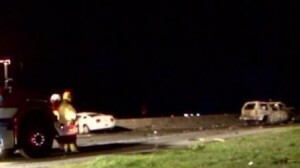 If the Camaro driver is found to have been legally intoxicated at the time of the crash, she will likely be charged with intoxication assault. Channel 2’s coverage is here. KHOU’s coverage is here. 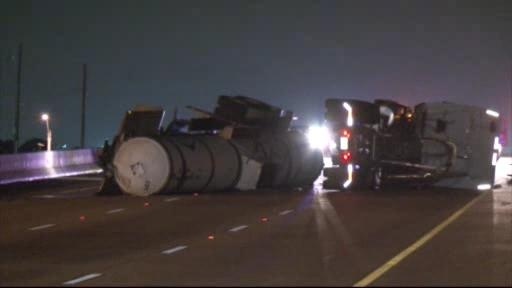 An 18-wheeler tanker truck overturned yesterday evening around 9:15 p.m. spilling 5,000 gallons of chemical onto the roadway and closing westbound 290 at Mueschke Road. A nearby restaurant and gas station were evacuated as a precaution and two Harris County Deputies were treated for exposure at the scene. Apparently a passenger vehicle was also involved, though exactly how the accident happened isn’t apparent from media reports. 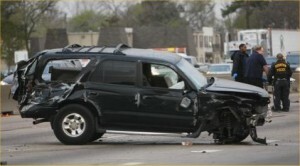 Channel 13 News said nobody was injured in the wreck. 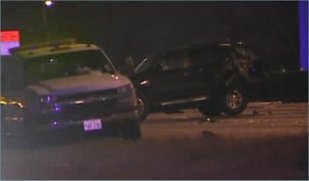 Late Thursday night an SUV rear-ended a HPD patrol unit that was stopped with its emergency lights activated on Highway 290 near Pinemont. The truck of the police car is crushed all the way to the base of the rear window, which suggests a very significant impact given the size of the trunk on a Ford Crown Victoria. At the time of the accident the officer was sitting in the police car and was blocking an exit ramp for a stranded driver. The police officer and the driver of the SUV were transported to the emergency room; according to Channel 2’s report police are now investigating whether alcohol was a factor in the crash. Smith and Hassler has handled personal injury cases in Houston and throughout Texas since the firm was founded by Michael Smith and Al Hassler in 1989. The firm has four attorneys that are Board Certified in Personal Injury Trial Law by the Texas Board of Legal Specialization, and has the support staff and resources to handle personal injury cases of all sizes. You can read reviews from former clients on Google and City Search Houston to get a sense of the job we do. 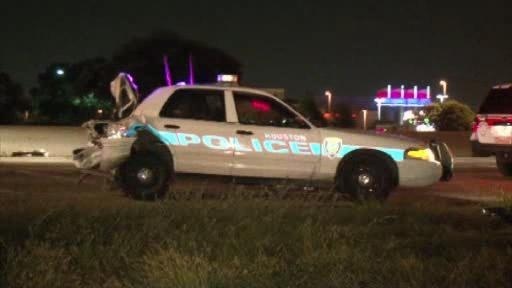 A Houston Police Department officer is lucky to be alive after his patrol car was struck by a pickup truck in a major car accident on US 290 at Hollister Road. 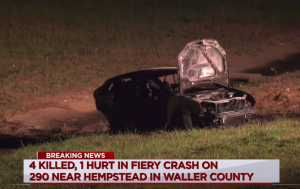 Investigators say the office was using his patrol car to block traffic while working the scene of another accident when his vehicle was struck at around 4:00 a.m. Both the police officer and the driver of the pickup truck were taken to hospital. Channel 2 Houston’s story does not state whether the driver of the pickup was impaired, but someone hits a police car on the freeway at 4:00 a.m. in Houston, the probability of alcohol involvement is extremely high. 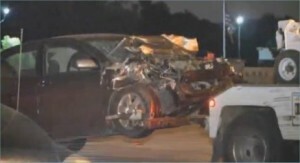 A car accident on Highway 290 at Antoine around 3:30 a.m. involved one fatality. 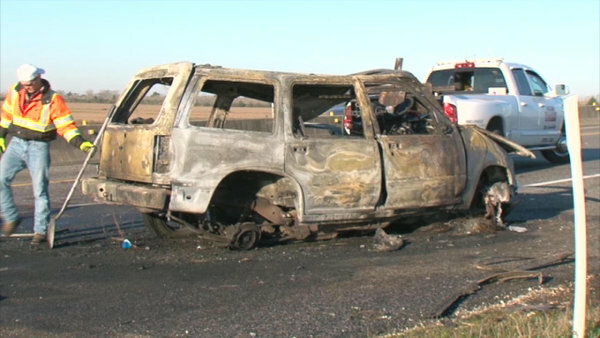 Two vehicles were involved, a dark-colored sedan and a mid-size SUV that appears to be a Toyota Forerunner. Channel 13’s report from the scene indicated someone was ejected from one vehicle, though which vehicle wasn’t clear. From the damage to the vehicles it appears the car rear ended the SUV causing the Toyota to spin out, however police are still investigating. 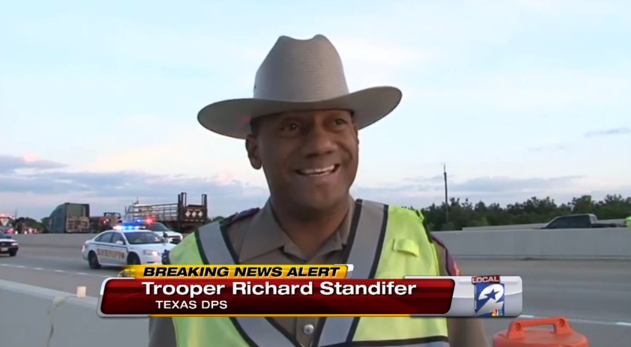 All westbound lanes of Highway 290 were closed to traffic as police worked the accident scene. 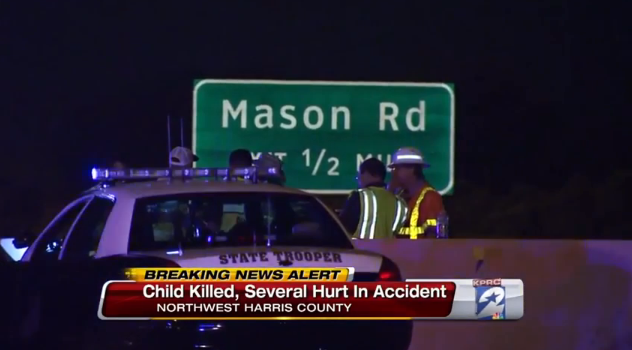 Three were killed early this morning when a wrong way driver caused a head-on crash in northwest Harris County. 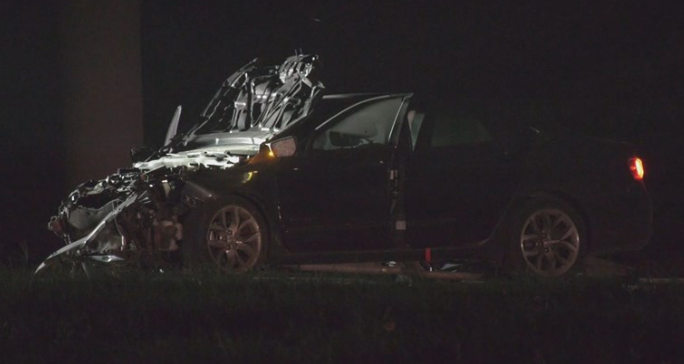 The accident happened just after 3:30 a.m. on Highway 290 between Kickapoo Road and Binford. A woman in her 20’s was heading south in the northbound lanes when she struck a Ford Explorer head-on. The female was pronounced dead at the scene. A Harris County Sheriff’s Office sergeant at the scene stated there were three males from the Texas A&M University Corps. of Cadets in the Ford Explorer. 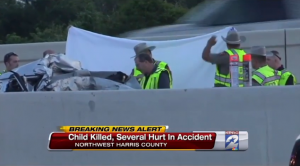 The driver and rear seat passenger in the Explorer were killed and the front seat passenger was transported via ground ambulance to Memorial Hermann Hospital, reportedly in stable condition. It appears that alcohol was a factor in the crash. Update: Harris County Sheriff’s Office has identified all four of the young people involved in the crash. The driver of the white Ford Mustang was 21-year old Katie Thomas: Channel 11’s news story says beer bottles were found in Ms. Thomas’ wrecked Mustang. The driver of the Ford Explorer was Amy Pacheco (18), and her passengers were Miguel Hernandez (18) and Francisco Campos (18). 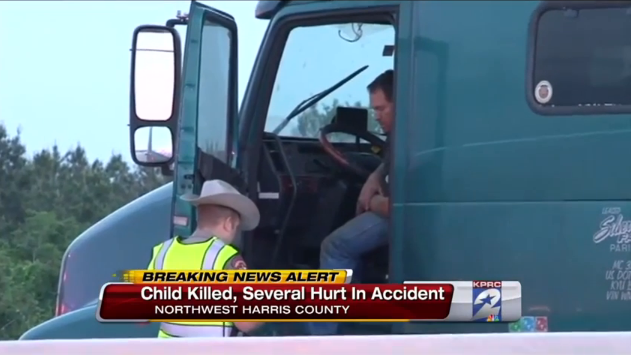 Miguel and Amy were killed in the collision, Francisco was injured and in critical condition. 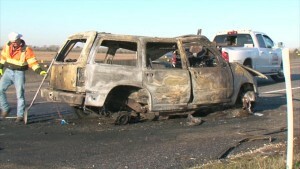 After the collision the Ford Explorer burst into flames. The A&M Corps. Cadets were heading back to College Station for an official function Sunday morning, having been in Houston judging a Houston ISD drill competition. 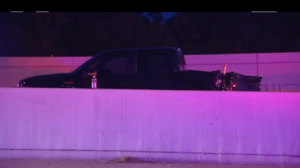 Two people are dead and a man is charged with intoxication manslaughter after a crash on Highway 290 near 34 Street at 2:00 a.m. Saturday October 13th. Two drivers were involved in a fender bender accident when a Ford Explorer rear-ended a Chevrolet Silverado pickup truck. The driver of the Silverado and a 64-year old passenger exited the truck to exchange information with the driver of the Explorer. 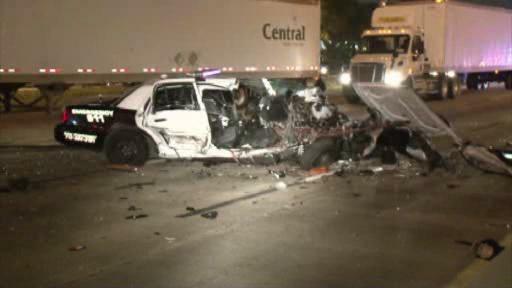 Investigators say that at some point the driver of the Silverado suspected the Explorer driver may have been drunk. 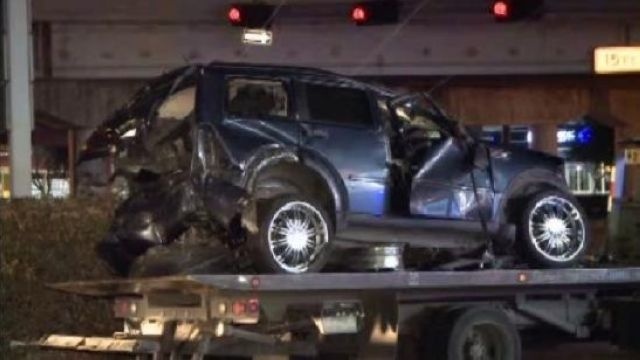 The driver of the Silverado went back to his truck to call the police leaving the Explorer driver and his passenger when a Lincoln Navigator SUV slammed into the stopped Explorer and Silverado, killing the passenger from the Silverado and the driver of the Explorer. The driver of the Navigator was taken into custody by police. Channel 2’s story is here. 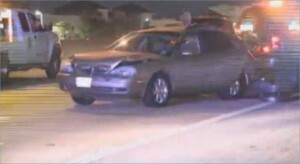 A man was arrested for DWI last night after a three vehicle accident that he was not involved in. Around 10:45 p.m. Sunday on Highway 290 at N. Gessner a woman driving a sedan wasn’t paying attention when she crashed into the back of a car, pushing that car into a vehicle in front of it. Police say the woman’s boyfriend was following in a separate vehicle and he stopped after the accident. 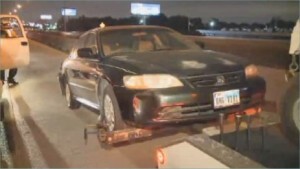 Police determined he was drunk and arrested him on suspicion of DWI. All main lanes of Highway 290 were closed for about 20 minutes as crews cleaned up the wreck. Channel 11’s story is here.